The Ramsey lab has recently started activities related to natural history and conservation of the South Dakota flora, including the projects summarized below. Vascular Plants of Spearfish. 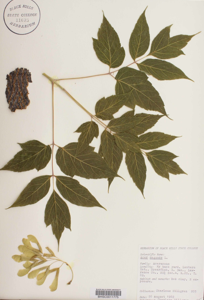 In collaboration with Mark Gabel and Grace Kostel -- curator and manager of the Black Hills State herbarium, who have worked for many years to identify and database plant specimens from western South Dakota -- we are developing an annotated list and photographic library of common vascular plants of the northern Black Hills. The list is freely available to students and general public, and may be accessed here. BHSU Tree ATLUS. 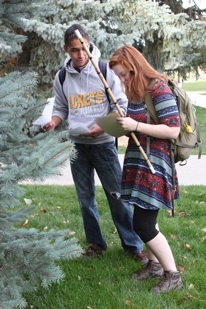 In collaboration with BHSU Facilities and Natural Sciences Faculty -- including Mark Gabel and Abby Domagall -- we are working to tag, map, taxonomically identify, and measure the size and health status of cultivated and wild trees on campus. The university lost many trees to an early October snow storm (2013’s ‘Storm Atlas’) and BHSU is taking stock of the campus landscape and planning future tree plantings. More information about the BHSU tree inventory can be viewed here.